The Verification of Identity and Authority joint practice for paper based transactions has been reviewed and amended. The changes have come into effect from 12 February 2018. The Western Australian Registrar and Commissioner of Titles Joint Practice: Verification of Identity Practice (VOI practice) commenced on 1 July 2012. The VOI practice is designed to reduce the opportunity for successful land title fraud as a result of identity theft or other improper dealings. It sets out to achieve this by requesting verification of the identity of a person transacting and their authority to deal with an interest in land. Verification of Identity is required for nominated electronic and paper based land transactions. A self-represented party is responsible for ensuring their own identity has been independently verified and complies with Landgate's VOI practice. Self-represented parties can have their identity verified at a participating Australia Post office. Australia Post charges a fee for this service. For further information, please refer to: www.auspost.com.au/identity-checks-for-property-transfers. A self-represented party cannot have their identity verified overseas. As part of Landgate's commitment to supporting the implementation of the VOI practice, we have provided responses to frequently asked questions. For all further enquiries, please contact us. These questions and answers are intended to act as a general guide and not as legal advice. 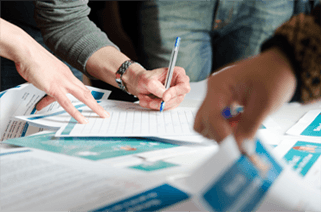 They are provided in good faith and believed to be accurate at the time of publication and are provided on the basis that you will be responsible for making your own assessment of the contents and that they are appropriate for your particular circumstances. If you have any issues of a legal nature, you should consider seeking the advice of an independent legal practitioner who is experienced in property matters. Why introduce a Verification of Identity Practice? Why can't we use the current standard - namely the 100-point check? The identity document production involves photographic identity documents and a face-to-face meeting. It reduces reliance on identity documents without photographs, and reduces reliance upon documents that are easily obtained or issued, such as utility bills. The standard is aligned to the national electronic conveyancing requirements. If I am representing someone who is performing multiple transactions or transacting on multiple properties, why do I need to provide individual statements for each transaction and/or property? Because the Verification of Identity and Authority practice covers a person's right to perform the transaction on each property, a statement for each property and transaction is required. Why has the Verification of Identity statement been removed from forms? Landgate forms are being rationalised and simplified in anticipation of the widespread adoption of electronic conveyancing. Including VOI statements for both buyers and sellers in transfer documents would make the forms unnecessarily complex. How long does the VOI last for? Represented Parties: Where a person is represented by the same conveyancer/lawyer on a continuous or ongoing basis with respect to the sale of real property in Western Australia, Verification of Identity is required on the first and second transfer but not on any subsequent transfers within the next two (2) years. 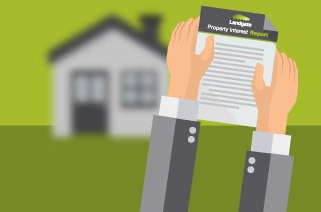 Self-represented Parties: A VOI statement provided by Australia Post (previously issued by Landgate) is valid for 2 years for the property and transaction specified, being a person has 2 years to use the statement. Once the VOI statement has been used, subsequent transactions on the same or different properties will require a new VOI statement (person/s will need to be identified again). Note: It is the statement that is valid for 2 years not the identification. Do people dealing in land in the Indian Ocean Territories (Cocos and Christmas Islands) need to comply with the Registrar and Commissioner of Titles Joint Practice: Verification of Identity? Yes. People dealing in land in the Indian Ocean Territories (Cocos and Christmas Islands) are required to comply with the Verification of Identity practice.